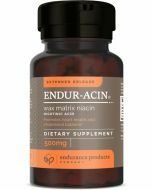 - antioxidant protection for cardiovascular health. Sugar cane‚ beeswax‚ and wheat germ naturally contain a mix of long-chain fatty alcohols in their wax; the most common are octacosanol and triacontanol. This natural blend is known as policosanol. Pure Encapsulations’ Policosanol 20 mg may promote cardiovascular health in several ways‚ which might be due to the fact that it can support good platelet function and lipid metabolism while providing antioxidant protection. The platelets are responsible for managing blood clotting; they can discourage excessive bleeding from wounds‚ while still allowing sufficient blood flow. Policosanol can further support heart health as an antioxidant that works to fight off free radical molecules that can cause potential harm to cells throughout the body. 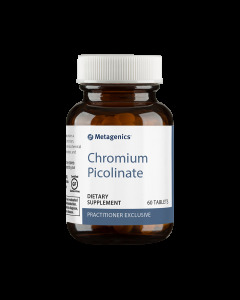 Policosanol is typically well-tolerated by the digestive tract‚ meaning that this supplement may be less likely to cause discomfort when taken. This product contains NO: dairy, wheat, yeast, gluten, corn, sugar, starch, soy, preservatives, hydrogenated oils, hidden coatings, excipients, binders, fillers, shellacs, artificial colors or fragrance. Policosanol has proven equivalent to or better than several statin drugs like imvastatin, pravastatin, lovastatin, probucol, or acipimox in reducing cholesterol levels in patients with hypercholesterolemia, and has fewer side effects. 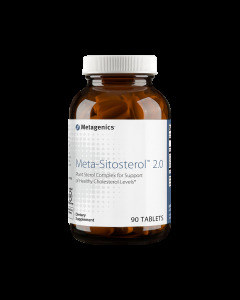 This dietary supplement also decreases several other risk factors for CHD by decreasing the oxidation of LDL cholesterol, platelet aggregation, endothelial damage, and smooth-muscle-cell proliferation. Fifteen double-blind, placebo-controlled trials, ranging in duration from 6 weeks to 12 months and collectively involving more than 1,000 subjects, have found policosanol to be effective for lowering total and LDL cholesterol, the ratio of LDL to HDL cholesterol, and the ratio of total cholesterol/ to HDL cholesterol. Most of these trials have been done at the Surgical Medical Research Center in Havana, Cuba with policosanol derived from Cuban sugar cane. One randomized, double-blind, placebo-controlled trial examined the effects of 5 to 10 mg of policosanol per day for 12 months on the lipid profile of 589 older patients with hypertension and type II hypercholesterolemia, and without a history of congestive heart disease. The study found that policosanol improved all parameters of the lipid profile with great statistical significance. A number of comparative studies have been done of policosanol versus commonly prescribed statin drugs. In one such study in which policosanol was tested against pravastatin over an 8-week period in an older population with hypercholesterolemia, it proved more effective at improving all lipid profile markers, and with a high degree of statistical significance. In another study, comparing policosanol at 10 mg/day with atorvastatin at 10 mg/day, the latter was slightly more effective than policosanol at reducing total cholesterol, while policosanol was more effective at raising HDL cholesterol, by 5.3% vs. no increase with atorvastatin, without any reported adverse reactions. The American Heart Journal evaluated the peer-reviewed literature on placebo-controlled lipid-lowering studies using policosanol and found that at doses of 10 to 20 mg/day, policosanol reduced both total and LDL cholesterol while raising HDL cholesterol. The Journal further stated that at dosages of up to 20 mg/day, policosanol is safe and well tolerated. The study concluded that policosanol is a "very promising phytochemical alternative to classic lipid-lowering agents such as the statins, and deserves further evaluation." 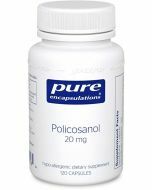 The usual dosage of policosanol is from 5 to 20 mg twice daily. Cautions include possible adverse reactions including migraine, insomnia, dizziness, irritability, stomach upset, and skin rash. Since policosanol can inhibit platelet aggregation, it may have an additive interactive effect with antiplatelet and anticoagulant drugs. Its concomitant use with these drugs may also theoretically increase bruising and bleeding. Also, policosanol can reduce blood pressure and may enhance this effect of beta-blocker drugs. Its concomitant use with the latter drugs therefore requires careful and regular monitoring of blood pressure. 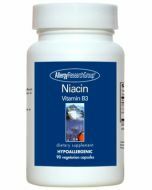 As a dietary supplement‚ take 1-2 capsules daily‚ in divided doses‚ with meals. If pregnant‚ consult your physician before taking this or any other product. Keep out of the reach of children. Store sealed in a cool‚ dry area.